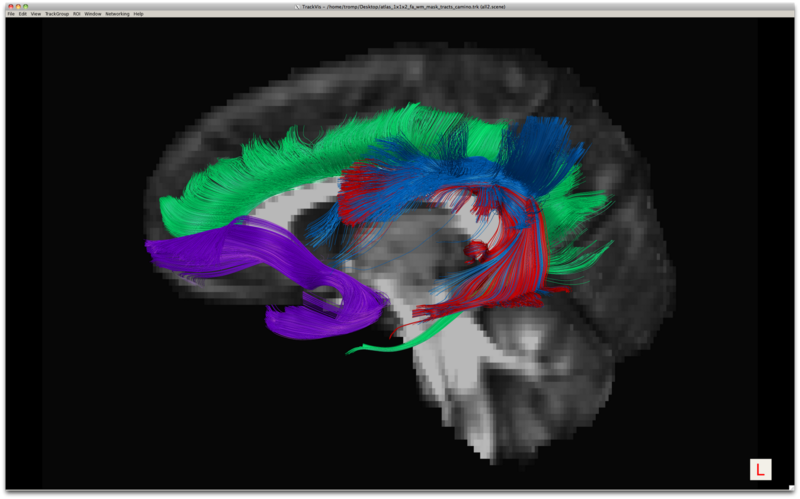 Fiber tractography is a very elegant method that can be used to delineate individual fiber tracts from diffusion images. This tutorial will help you in a step-by-step way trough the process. 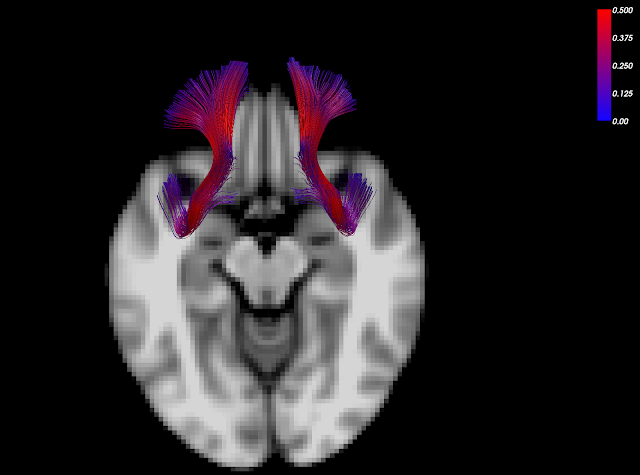 In the first place you will need to produce both a tract-file and scalar-maps like fractional anisotropy (FA) maps and mean diffusivity (MD) maps. You can either simply download the diffusion toolkit which is highly compatible with the visualization program TrackVis. 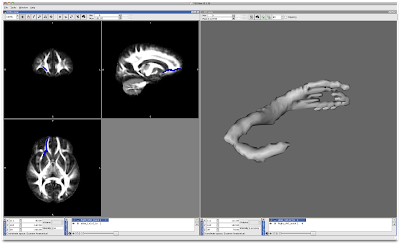 Or you can use other tools like the ones from Camino (you will need this camino to trackvis tool) or FSL Diffusion Toolbox. You can find more information on distortion correction and preprocessing here and here, or you can go through the tutorials on analysis steps here and here. Once you have done that, the hardest part is pretty much over. 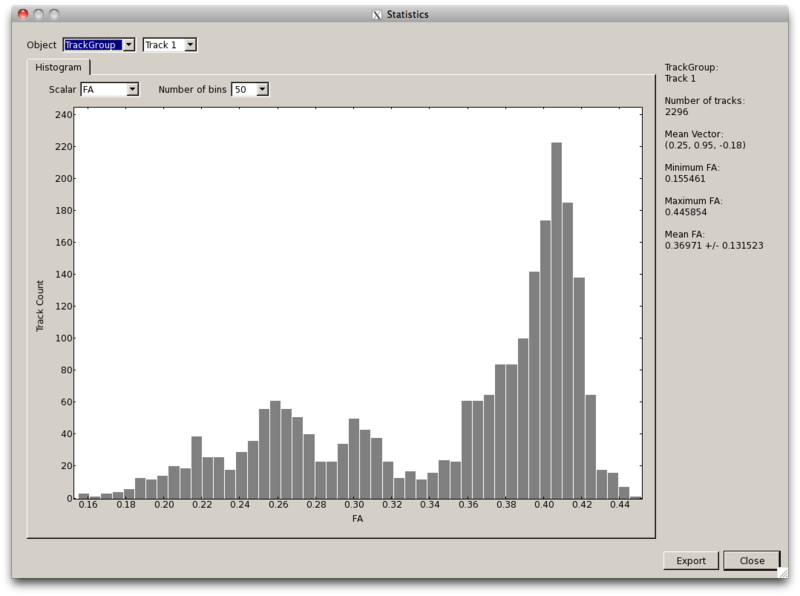 Start by downloading the tract visualization program TrackVis. The software is free but you will have to register. 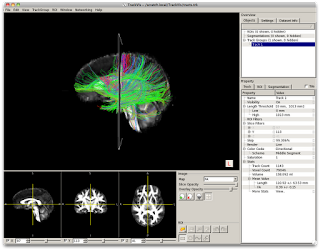 TrackVis is compatible with windows, linux and mac. 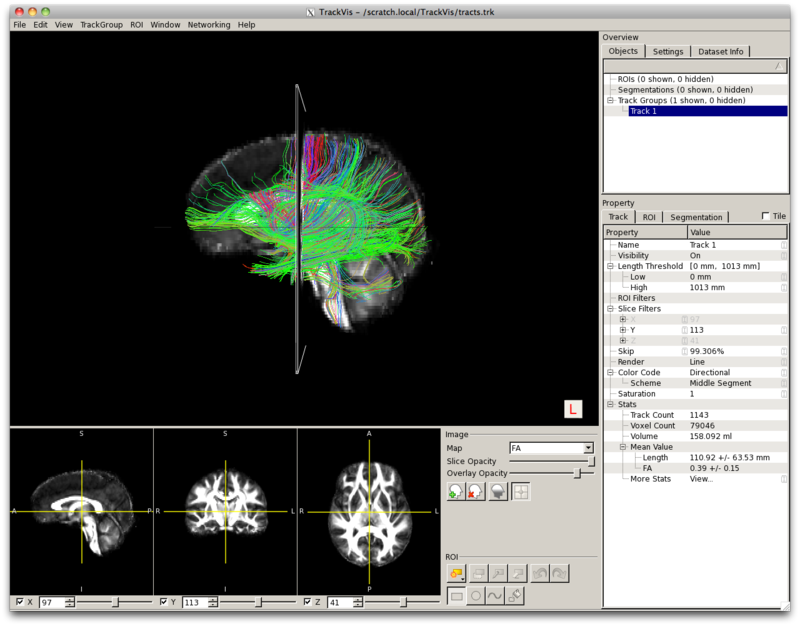 Both the diffusion toolkit and TrackVis are developed by some of the core scientists in diffusion imaging; Van Wedeen and Ruopeng Wang. The support for the software is great, questions are readily answered trough their forum (although currently offline due to spamming, for questions you can email them) and the software is still improving with updates. You will have to keep in mind that this is a three dimensional visualization program so it will demand a fairly decent memory performance of your computer, depending on the size of your files (voxel size, number of tracts). One hint when running whole brain tractrography is to limit the number of tracts traced by applying a white matter mask (simply cutting off any voxels that have FA values below .15 or .2). 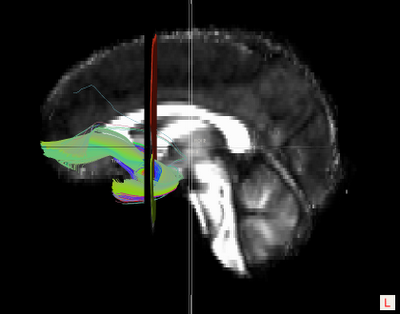 Another tip is to use the MD map to get rid of much of the noise rim around the brain - by thresholding out the lowest 10%. If you do not have your own data you can download practice date from my website (look for the .trk file [although note that it is about 1GB to download], and the FA, MD, AD and RD files). The panel on the right of the screen is called the control panel, which includes the overview and property section. 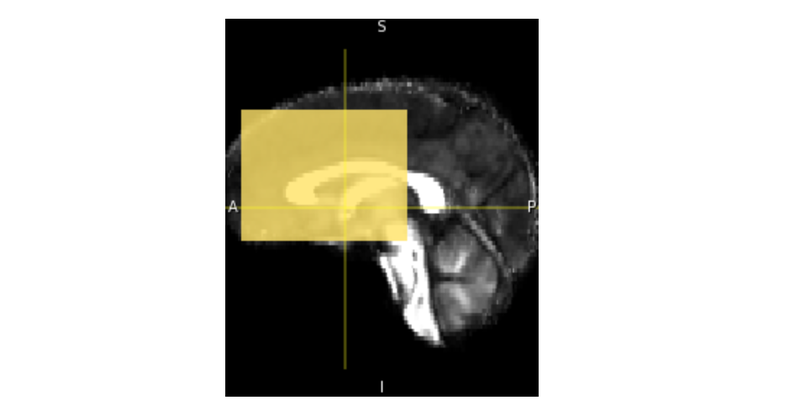 The lower panel is called the image panel, which includes three orthogonal brain views, an image section and a ROI section. 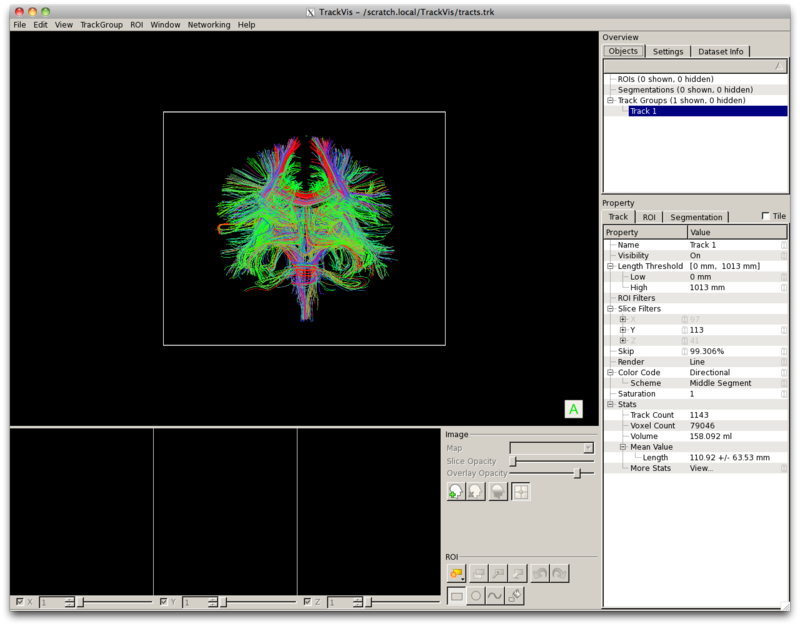 The main image with the 3D rendering is called the render window. If you load the scalar but can not see it on the main image play around with Slice Opacity. - You can only draw ROI's in the image panel and not on the 3D render window. To increase the size of the image panel you can slide it up to make it larger. Double click the render window to hide or show the image panel. - Zoom in/out on the orthographic FA images and main image by scrolling - beware this is a slow and sensitive tool. - In the Property pane expand the options for Slice Filters - Y, for Operator choose Not. Do this for Track 1 and 2. - Next you double click Skip and deselect it, do this for both sides. - What you see now is roughly all the tracks for the Left and Right Uncinate Fasciculus. - Toggle this fifth ROI to both Track 1 and 2, and in ROI Filters option for ROI 5 choose Operator - Not. -What is for example the Mean FA of your left Uncinate? And your right? And the whole brain? 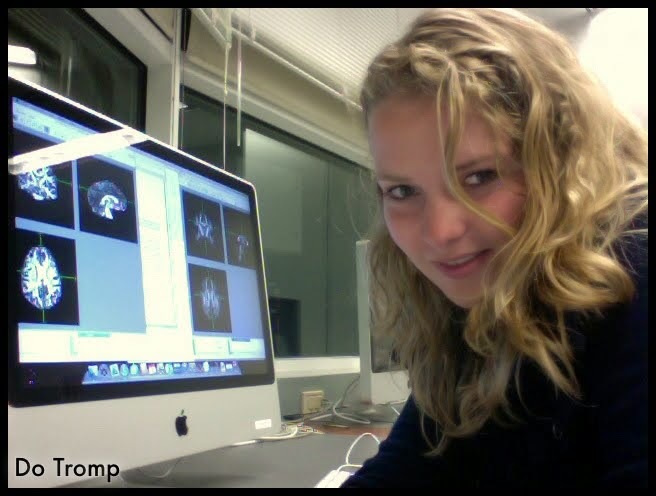 - You can export these thats with Export, do this for each side and the whole brain separately. - As a next step it is smart to start saving everything. Start with saving all the ROI's by right clicking them in the Overview pane, then click on Save, try to think of a good naming convention that can include the UNC and the ROI number. - Next click File and Save Scene. The newer versions of trackvis seem to deal with this better but if you run into issues with re-opening your scene file try to save the ROI's before you save the scene or it will not load them correctly once you want to re-open the scene. - In the Property pane find Color Code and click on Directional - choose Scalar. By default the FA map will now be used to color code the track, do this for both sides. - You can also adjust the color spectrum, BUT on certain occasions this will crash the program, so use with care. - Also you can choose to Render a tube instead of a line, try this but keep in mind that rendering this will take a moment. In the image below you can find some of the fiber tracts that are important in autism spectrum disorder (ASD). 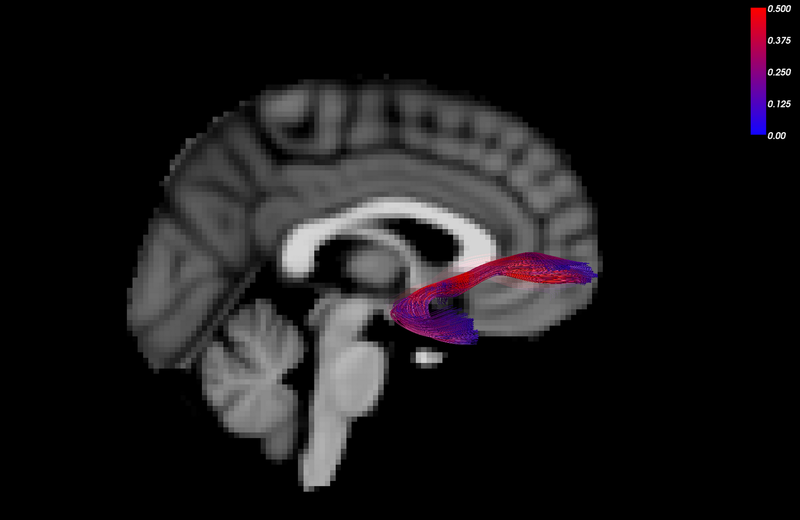 In green the cingulum, in purple the uncinate fasciculus and in red and blue the arcuate fasciculus and superior longitudinal fasciculus respectively, image from Travers et al. 2012.